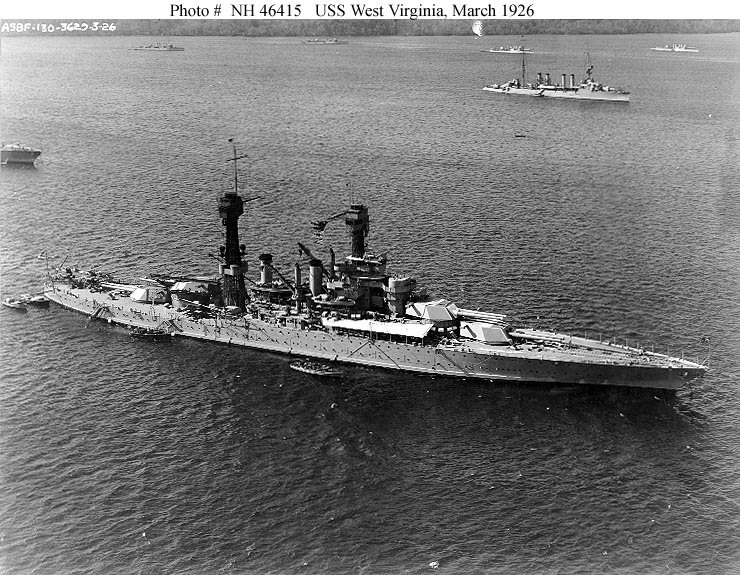 USS West Virginia, a 32,600-ton Colorado class battleship built at Newport News, Virginia, was commissioned in December 1923, the last battleship completed for the United States Navy for nearly two decades. During the 1920s and 1930s, she served in the U.S. Fleet, taking part in "Fleet Problems" and other exercises as part of the continuing effort to develop tactics and maintain the Navy's combat readiness. With much of the rest of the Fleet, she deployed to New Zealand and Australia in 1925 in an important demonstration of the Navy's trans-Pacific strategic "reach". 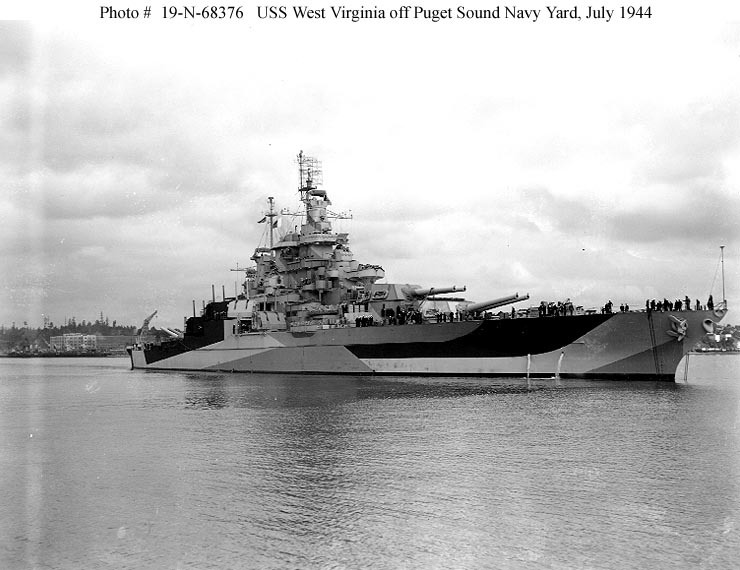 West Virginia's base was moved to Pearl Harbor in 1940, and she was there on 7 December 1941, when the Japanese attacked with an overwhelming force of carrier aircraft. In that raid, the battleship was hit by two bombs and at least seven torpedoes, which blew huge holes in her port side. Skillful damage control saved her from capsizing, but she quickly sank to the harbor bottom. More than a hundred of her crew were lost. Salvaged and given temporary repairs at the Pearl Harbor Navy Yard, in April 1943 West Virginia steamed to the West Coast for final repair and modernization at the Puget Sound Navy Yard. The battleship emerged from the shipyard in July 1944 completely changed in appearance, with a wider hull, and massively improved anti-aircraft gun battery. 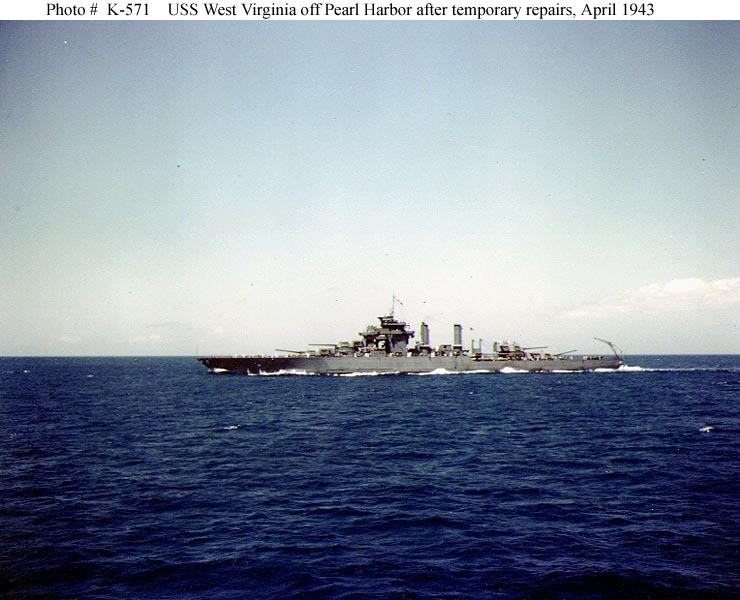 West Virginia arrived in the Pacific combat zone in October, and soon was participating in pre-invasion bombardment of Leyte, in the Philippines. 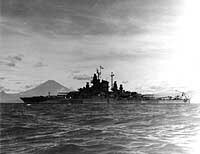 On 25 October, as a force of Japanese battleships and smaller vessels attempted to make a night attack on the landing area, she was one of the ships that stopped them in the Battle of Surigao Strait, the last time in World history when battleships engaged battleships with their big guns. Subsequently, West Virginia took part in operations to capture Mindoro, Lingayen Gulf, Iwo Jima and Okinawa, using her sixteen-inch guns to support U.S. ground forces. On 1 April 1945, while off Okinawa, she was hit by a Japanese Kamikaze plane but was able to remain in action, continuing her bombardment duties there into June. After Japan's capitulation, West Virginia supported the occupation effort until mid-September. 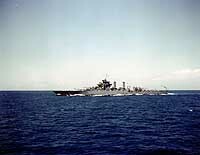 She participated in Operation "Magic Carpet" during the last part of 1945, bringing home veterans of the Pacific war. Inactive after early 1946, she was decommissioned in January 1947. 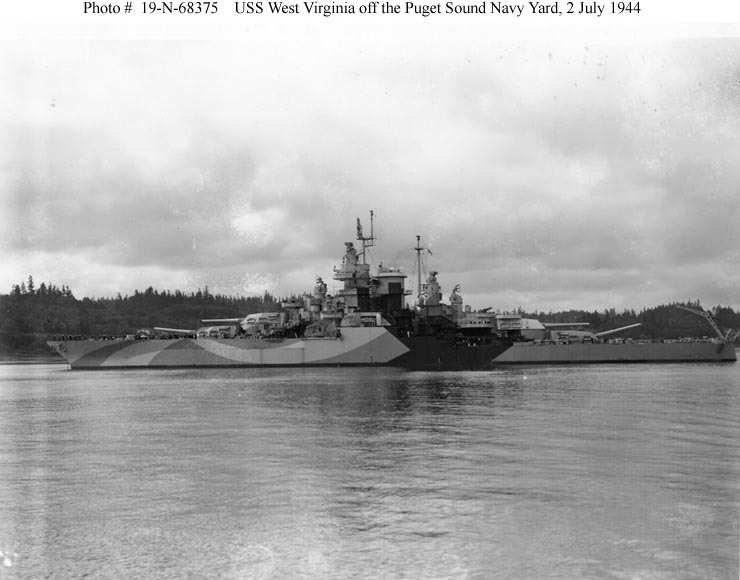 Following twelve years in the Pacific Reserve Fleet, USS West Virginia was sold for scrapping in August 1959. 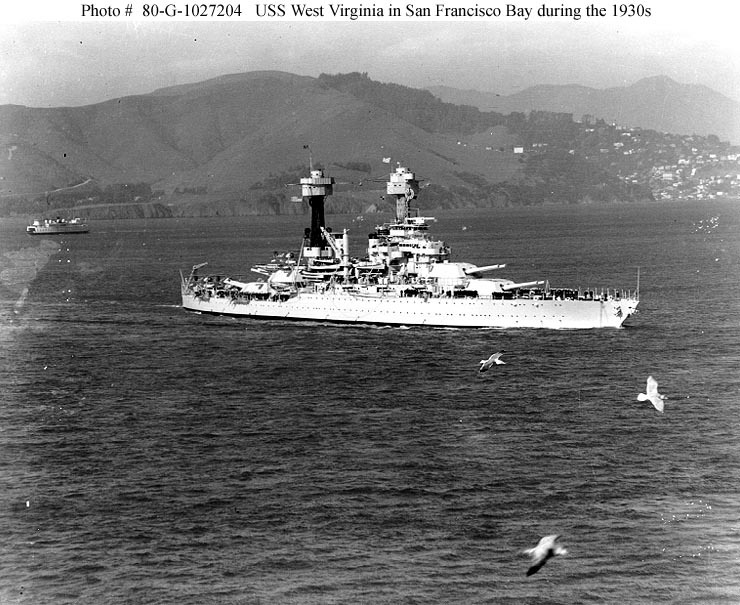 This page features selected views concerning USS West Virginia (BB-48). 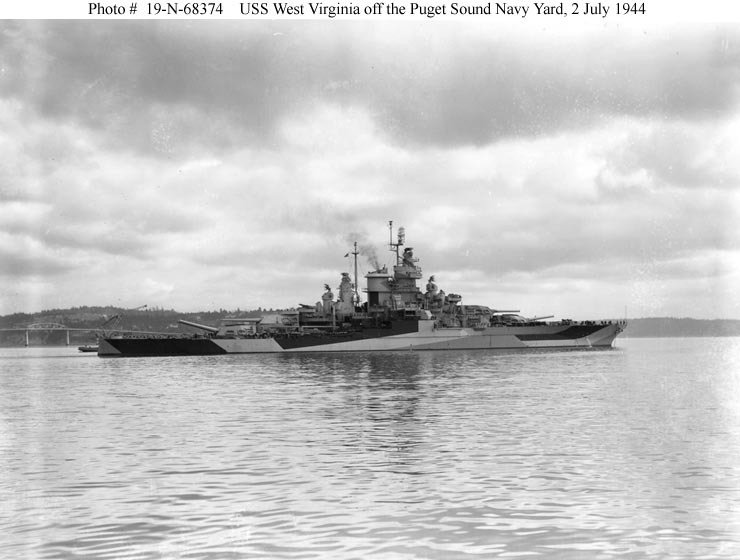 USS West Virginia (BB-48) -- Part II. Salvage and Repair of USS West Virginia, December 1941 - April 1943. Photographed in March 1926, while anchored with other ships of the U.S. Fleet. 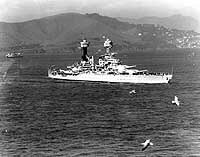 An Omaha class light cruiser is in the right distance, with destroyers beyond. 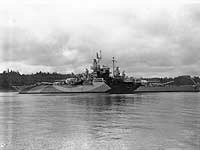 Underway off Pearl Harbor on 30 April 1943, en route to the Puget Sound Navy Yard, Bremerton, Washington, for reconstruction. The Pearl Harbor Navy Yard had just finished temporary repair of the damage she had received in the Japanese attack of 7 December 1941. Off the Puget Sound Navy Yard, Washington, 2 July 1944. She is painted in Camouflage Measure 32, Design 7D. Anchored in Sagami Wan, Japan, outside of Tokyo Bay, circa late August 1945. Mount Fuji is in the background. Courtesy of Robert O. Baumrucker, 1978.